Earthport provides cross-border payment services to banks and businesses. Through a single relationship with Earthport, clients can seamlessly manage payments to almost any bank account in the world, reducing complexity to meet their customers’ evolving expectations of cost, speed and transparency. Earthport offers clients access to global payment capability in 190+ countries and territories, with local ACH options in 60+ countries, and an evolving suite of currencies and settlement options. Earthport continues to invest in the establishment of in-country bank partnerships across the world, bringing together its deep market and regulatory expertise in order to maintain compliant and commercially competitive services. The result – a trusted global payments network accessed via a single relationship, delivering significant cost and operating efficiencies for banks and businesses servicing high volumes of lower value payments. 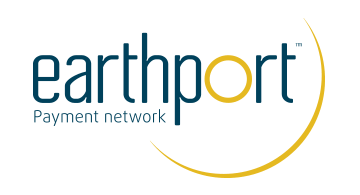 Headquartered in London with regional offices in New York, Dubai, Miami and Singapore, Earthport is a public company, traded on the London Stock Exchange (AIM: EPO) with an institutional investor base including World Bank IFC, Oppenheimer, Blackrock, Henderson. Please visit www.earthport.com for more information.